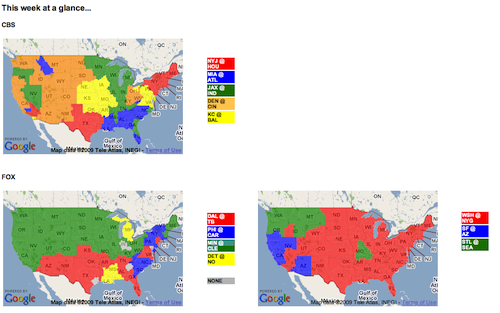 One of the more critical mashups for the fall season is the NFL TV Distribution Map. It is a fine line between having to watch MIN @ CLE vs DAL @ TB. Of course if you just listened to Denis Leary, you wouldn’t have this problem. Me? I’m still getting used to the Arizona Cardinals games not being blacked out at home.